is co-founder of Atelier Cho Thompson. She received a BS & MS in civil & structural engineering and construction management at Stanford University and received a masters in architecture at the Harvard Graduate School of Design. She was a structural engineer at the international engineering company Arup, where she was the Structural Sustainability Champion for the Americas & worked on projects such as the LEED-Double Platinum California Academy of Sciences, UC-Davis Veterinary Medicine facilities, UCSC Engineering Building, Kaiser hospitals, Schroder Overcrossing, and various other projects. 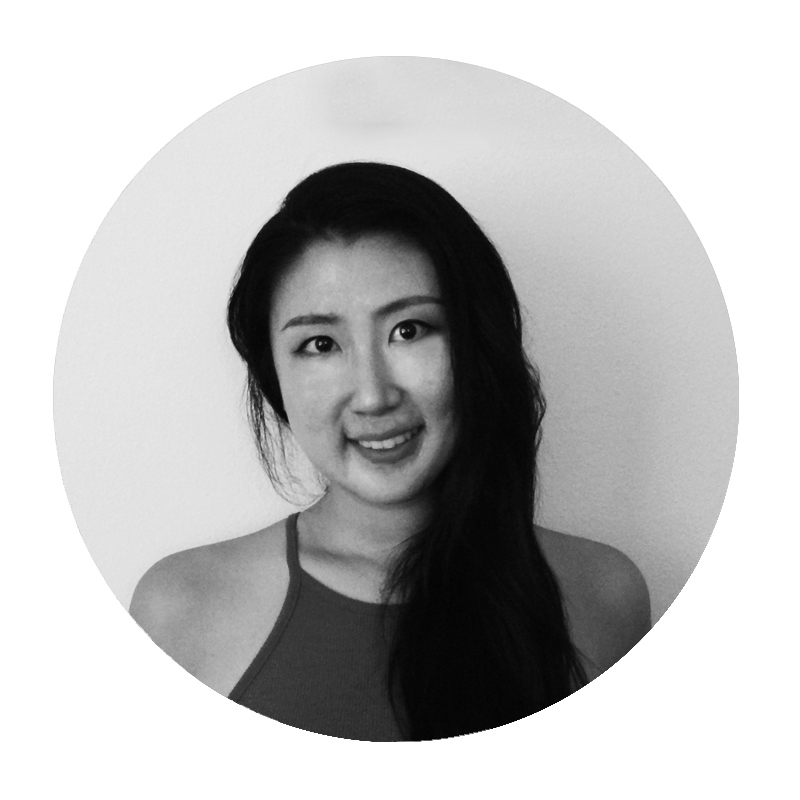 She went onto work at architecture firms worldwide including Kao Design Group on Richard Branson's Eco-Island, SHoP Architects on the Google HQ, Neri & Hu in Shanghai, Mass Studies in Seoul, and Bohlin Cywinski Jackson on Apple stores, the Apple iAd office, and the Square HQ. Her work has spanned typologies from single-family to multifamily residences, hospitals, labs, museums, innovative workplaces, hospitality and food service, to retail, exhibits, furniture, and graphics for various organizations. Her inspiration comes from exploring the particularities of a place, client, material, or technology. She thrives in the rich in-between spaces of disciplines -- structures & architecture, landscape & furniture, graphics & interiors, etc. Her work explores design's ability to catalyze new types of interactions between people & communities. She has lectured on Green R&D at Harvard and served as a critic at Parsons, Stanford, Harvard, & the California College of the Arts. She has been a Senior Lecturer at the CCA, teaching Integrated Building Systems. Christina took courses at the California Culinary Academy & worked as a stagiaire at Tartine Bakery. She enjoys running, cooking, gardening, playing the piano, and working on furniture projects with her husband. She serves as Design & Innovation Chair of the Stanford Club of SF. is co-founder of Atelier Cho Thompson. As a practicing architect, Ming is focused on bettering human experience through design; she insists that good design must occur at all scales, from the building to the furniture to the logo, and everything in between. Ming studied architecture at Yale University and the Harvard Graduate School of Design. Before founding ACT, she spent time working for large and small firms around the globe, including Zephyr Architects in Beijing and Bohlin Cywinski Jackson in San Francisco, where she focused primarily on commercial spaces for cutting-edge tech companies. While at Harvard campus planning in Cambridge, she worked with adaptive reuse projects to insert new programs into historic buildings. She has also worked as a designer for non-profit organizations, with a specialty in building community around design. Her work as an architect has been exhibited at the Venice Biennale, and published in books and periodicals in the United States and France. Deeply interested in bringing the arts to the public, Ming has worked in museums and galleries throughout her career, including the Peggy Guggenheim Collection and the National Gallery of Art, and has created and managed exhibitions as an independent curator. Outside of architecture, Ming is a First-Year Advisor at Yale and serves on the Board of Trustees of the Yale-China Association. She is also part of AIASF's Missing 32% Project to address equity and diversity in architecture and has been a Sr. Lecturer at the CCA. Prior to ACT, Ming established a successful graphic design company and her work has been featured in numerous international magazines. Ming was raised in the kitchen of her family's restaurant in Appalachia, and today she continues to pursue her passion for the craft of food through photography, recipe blogs, food-related infographics. Ming has served on architecture juries at Yale, UCBerkeley, and CCA. Emilia seeks to impact people and enliven communities through design at any scale. Emilia graduated with a BArch from Virginia Tech and brings a diverse professional background, including hospitality, multi-family, commercial, K-12 and higher education projects. An organizational unicorn, Emilia enjoys a hands-on approach to beautifully resolving the most complex design problems. One of Emilia's most meaningful contributions early in her career was being on the design team for the new Sandy Hook School, where she learned the power of community in the design process. These experiences have helped Emilia become a natural collaborator and a passionate maker, seeking holistic design solutions and championing a concept-based approach to design. Emilia attributes her passion for food, art and culture to her early childhood growing up in Central America. In her free time, you can find Emilia creating elaborate crafts, hosting backyard barbecues, and planning adventures with her partner and their cat, Klaus. Mikaela Leo focuses her career on making art that matters. From her experience volunteering with Habitat for Humanity of Santa Fe and partnering with New Mexico non-profit Warehouse 508, she learned how powerful design can be. The Bay Area’s eclectic and dynamic environment lured Mikaela to San Francisco. During graduate school at the California College of Arts, where she obtained her Masters in Architecture, she partnered with Bay Area organizations working to solve the food desert problem in West Oakland, running youth-led design build programs, and encouraging kids to get involved with their urban community through the act of play. Motivated by this work, her Master Thesis explored how large scale urban strategies could preserve enclaves for artists and other disappearing populations in a boom and bust economy. Minji has a degree in Interior Design from the California College of the Arts in San Francisco. After growing up in Korea, Minji traveled the world and found her passion in seeing how different cultures utilize space. She aims to design interior spaces that shape behavior and human interactions. In her free time, Minji loves exploring, windsurfing, and rock-climbing. Celia is a graphic designer living and working in New Haven, CT. She believes in the power of design to better people’s lives, and, at the risk of sounding dramatic, to stir social change. Her senior thesis at the University of Connecticut explored the role of design in shifting a town’s perceptions of its syringe-exchange program, a service long condemned by town leaders and residents (and certain political administrations). She worked to develop a new identity focused on the program’s vital, positive role in community health. Funding from a national grant allowed the project to fully materialize. Celia’s desire for simplicity and purpose guide her as a designer and a human. When not at work, she can be found in a public library, Goodwill, on a yoga mat, in the woods, or on a run. One day she hopes to design a mobile cabin and live off the grid. Baolin has a bachelor of arts in architecture from the University of Edinburgh and is currently completing his masters at Yale. Prior to his masters, he worked in firms around the world, including CLOU Architects in Beijing and the Urban Redevelopment Authority in Singapore. These overseas experiences have cultivated his appreciation for diverse cultures. In design, he believes in the importance of human-ness and interactions. In the second year of his masters, Baolin curated a public exhibition “Hutong-ism” to expose people to the living spaces and daily life of different cultures. During the exhibition, they organized side events to engage Yale students and local communities in cross conversations. Baolin takes pride in his cooking which adds a dose of enjoyment to his daily routines. Serena is currently pursuing her M.Arch I at Yale University. Born in Malaysia and raised in China, she loves learning about new cultures, languages, and food. From her experience volunteering at the Asheville Design Build Studio and Habitat for Humanity, she found the act of designing and building things empowering for the community as a whole. As a field crew manager for the Jim Vlock Building Project at Yale, she directed one team of 14 classmates over 6 weeks to construct a portion of a multifamily home for clients experiencing homelessness. Prior to graduate school, she worked at the Eco-Conservation Studio at Lake|Flato Architects on projects such as the Houston Zoo, Centennial Park Pavilion, and Austin Central Library. In her free time, she enjoys sketching, playing the violin, as well as trying new recipes. Michelle is pursuing her M.Arch I at Yale. Prior to her graduate degree, she studied Architecture with a concentration on Urbanism in Developing Countries at the University of California, Berkeley. Michelle is an advocate for humanism and inclusivity within the built environment. Her cross-cultural upbringing in the Bay Area has influenced her interests in the relationship between space, identity, and social behavior. In the past, Michelle has led design strategy initiatives for companies such as WeWork, WZ Architecture in San Francisco, and Oualalou+Choi in Paris. She serves as an Innovation Advisor for the Tsai Center for Innovative Thinking at Yale, where she mentors diverse start-ups on how to launch their ideas. In her free time, Michelle frequents third-wave coffee houses and listens to French Rap.